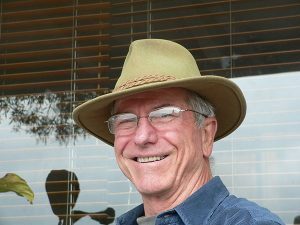 The author was born and raised in rural California, earned his BSc at U.C. Santa Barbara and Loyola University, his graduate degree at UCLA, and has held teaching posts at UCLA, the Universidade Federal in Natal, Brazil, and New Zealand’s Otago University. He has spent the best part of twenty years living and working abroad, while traveling by foot, bicycle, motorcycle, kayak, helicopter, tramp steamer, sailboat, plane, train, and dugout canoe. He lived in New Zealand for thirteen years. Mason’s writing is informed by travel, by his biases about universal human faults, especially in his characters, and by a creative drive to invent while being faithful to cause-and-effect and the natural world. He admires the work of US writers Loren Estleman, John Didion, Scott Turow, Richard North Patterson, and Cormac McCarthy; overseas authors Le Carré, Ian Rankin, Margaret Atwood, Janet Frame, Simon Mawer, Ian McEwan, and Alan Hollinghurst; the “classics” G. Greene, S. Maugham, E.M. Forster, and A. Trollope; literate travel writers E. Newby, W. Thesiger, A. Moorehead, Gavin Young, B. Chatwin, P. Theroux, and Nicolas Crane. You can find synopses for Mason’s completed novels on this site (Publications > Novels), as well as his publishing credits (Publications) and recognition for his writing (Awards).